Check out our YouTube Channel to see examples of TS equipment in action. 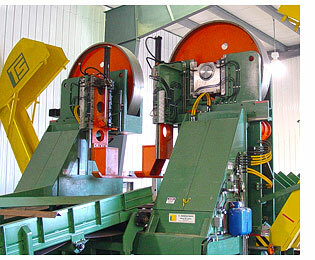 TS Manufacturing Bandmills provide greater cutting accuracy resulting in reduced sawdust & improved recovery. Available in sizes of 48", 60", 72", 84"
High Strain - Hydraulic Strain system provides fast response through a nitrogen charged accumulator while providing stability and rigidity. 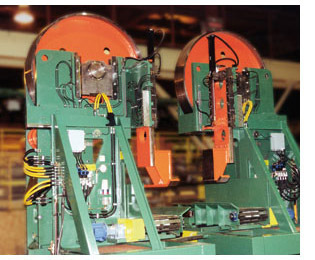 The direct acting strain system provides consistent strain response throughout its travel, unlike 'eccentric' strain systems that can overtravel and understrain a saw. Narrow, double column profile increases stiffness, and decreases arbor stress to hold precision alignments longer. 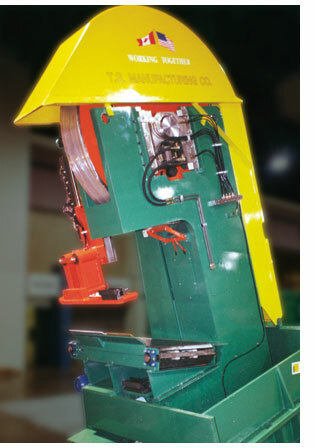 Allows for close coupling in multi-saw layouts.